What happens when you mix the best lip balm with lips that are rockin’ new filler? That’s why we’re talkin’ about Ormedic Balancing Lip Enhancement; better known as your lips most favorite and best lip balm — filler or no filler. What Is Ormedic Balancing Lip Enhancement? IMAGE Skincare (one of our favorite product partners in the skincare world) created this lip-enhancing moisturizer. And that is what it is: a soothing + hydrating infusion to your lips. This lip moisturizer also works to improve the appearance + volume of lip contours (hello filler — especially that Revanesse® Versa™ lip filler we’re lovin’ on right now). Why Is This the Best Lip Balm (All the Details)? Yes, we know this lip balm is technically a lip-enhancing moisturizer, but what makes it so enhancing + moisturizing? Imagine your chapped lips feeling relief from this lip moisturizer while it continuously heals (apply to lip area as needed). And it’s physician formulated for all skin types, fine lines, dry, dehydrated lips and post-dermal fillers/injections. Oh yeah, did we mention this product was seen in the American Spa Magazine? 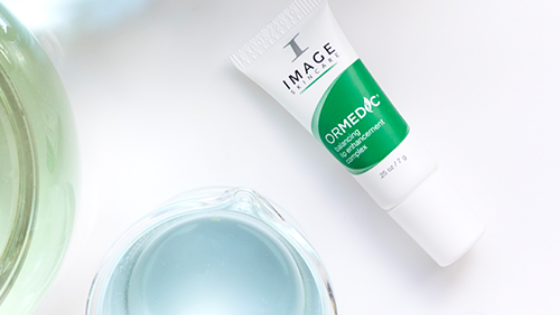 If you’re on the hunt for the best lip balm — Ormedic Balancing Lip Enhancement — is here for you! With its instant + lasting moisturizing properties, appearance + volume enhancing features + increase in moisture volume over time – what’s not to love?